Blue Knight Pool Service LLC, was established in 2009 with the mission of providing reliable, quality pool service with an emphasis on service. Professional, Personable, and Presentable are words that make up our unofficial mantra. When developing our business we simply asked ourselves what we would want in a company we invite into our backyard. These are the values we have built our business on and would like to share with you, our customer. Personable – We are approachable and available to answer questions at anytime, whether on the phone or on the job. Presentable – It’s too hot for tuxes, but we keep a uniformed and professional look. After 5 years in the U.S. Navy, Dax Panno has followed in his father’s footsteps working in pool service repair and sales. Father and son, Sam and Dax Panno have over a half century of experience in almost every aspect of the pool and spa industry. 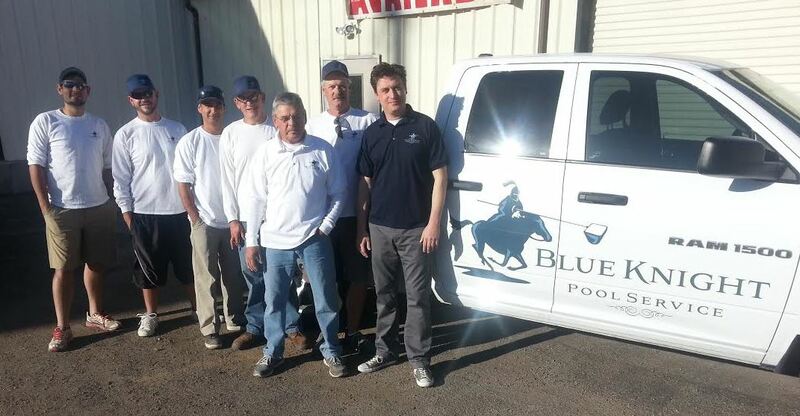 Dax and his staff at Blue Knight Pool Service are fully trained, experienced pool professionals who share in the Pannos’ enthusiasm to bring you the highest quality pool service available in Tucson, Arizona.